Film screenings run in seven screening rooms (accreditation and ticket holders only) and two outdooor cinemas (free admission). Venue for film screenings and La Putyka performances. Film screenings open to the public. You can buy accommodation via My SFS accreditation system. 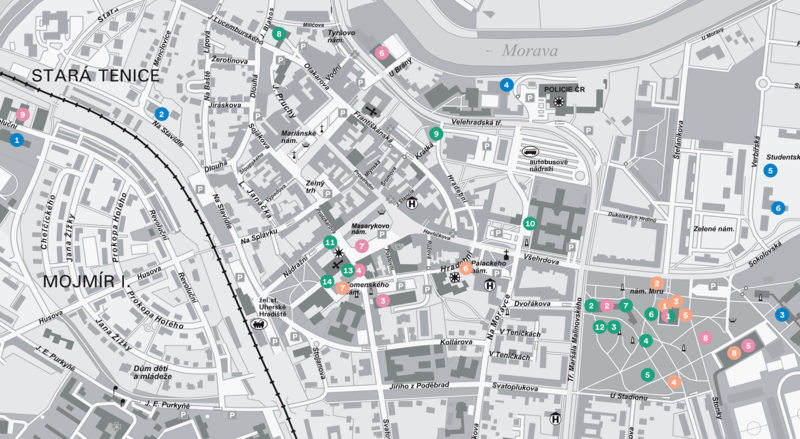 You can select from a limited number of rooms, beds in Mojmír dormitory, sleeping bag accommodation or tent sites. (rooms with 2, 3 and 4 beds). (rooms with 2 or 3 single beds). Showers in the nearby Sports Hall.